It&apos;s been said that being a member of Domestic Church is "just being Catholic!" 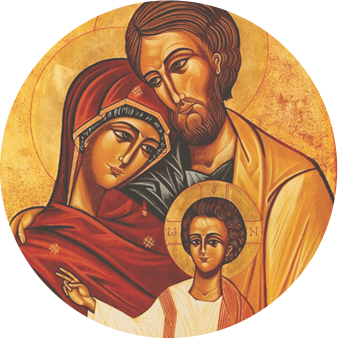 What makes the formation of Domestic Church so attractive is that it is not a novel approach to the faith or a vision of Catholicism limited to a founder&apos;s particular spirituality, but simply a way to access the treasures of the Church&apos;s teachings on marriage, family life, prayer, Scripture, the Sacraments, etc. specifically as a spouse and a parent, utilizing the grace of the Sacrament of Matrimony to do so. Each couple in Domestic Church typically starts off by attending an Evangelization Retreat, which allows them to experience the Good News in a new and deeper way and provides a real experience of the saving power of Christ as a couple. After the retreat, the couple has an opportunity to join a circle of 4-7 other couples and a priest. Each circle meets once a month in the homes of its members to share the joys and sorrows of the journey, to pray together, to go over their progress in spiritual growth according to the 7 promises, and to go over the new formation materials for the month. The beauty of these "promises," or commitments, is that they aren&apos;t specific prayers, Scripture passages, or structures that a member commits to pray as individual, as a couple, or with their family, but the movement provides formation, using the Church&apos;s spiritual tradition and official teachings, for how to pray, how to use Scripture in prayer, and how to grow in a real relationship with God, our spouses, and our children in light of our Baptism. After joining a circle, a couple has nine months to decide if they will commit to continued formation, and another two years or so before they enter into mainstream Domestic Church formation, all of which builds toward giving back to the parish what the Holy Spirit has grown in each couple during those first few years. This process follows the Church&apos;s vision of Catechesis for adults.